"Tri-Force Cutting Boards", Or "The impossible 60 degree Cut"
Here are a few photos of some tri-force cutting boards I have made lately. I made the first one for a good friend, who saw one online and was a huge zelda fan. I kept putting it off, and couldn’t make her understand how hard I thought it would be to make those perfect triangles. I told her that a 45 degree cut is one thing, but I don’t know about a 60, lol. 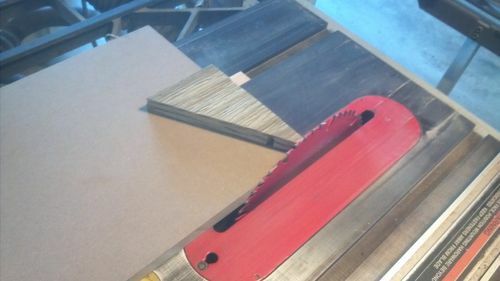 Well after a few lopsided attempts on the RAS, I finally came up with a nice table saw sled that not only let me cut the smaller triangles, but trim up the larger ones after being glued up. I used biscuits to hold most of the pieces together, because I don’t trust the grain deviations of the triangles. These are both done out of walnut and hard maple, and finished with mineral oil. Next I need to do some end grain ones I guess. If anyone is really interested I’ll post photos of the sled I used. I think they look awesome. End grain is easy compared to what you’re doing. Very nice looking and crisp cutting, well done! Here are some photos of the sled I used. 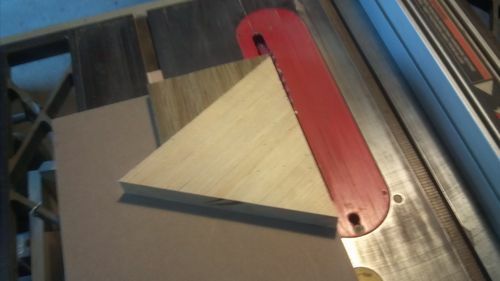 It is a piece of mdf with a runner on the bottom, and a 30 degree triangle attached to the top. Nice design. Very creative using the sled to create the desired effect. How are you going to stop Ganondorf from stealing your cutting board?